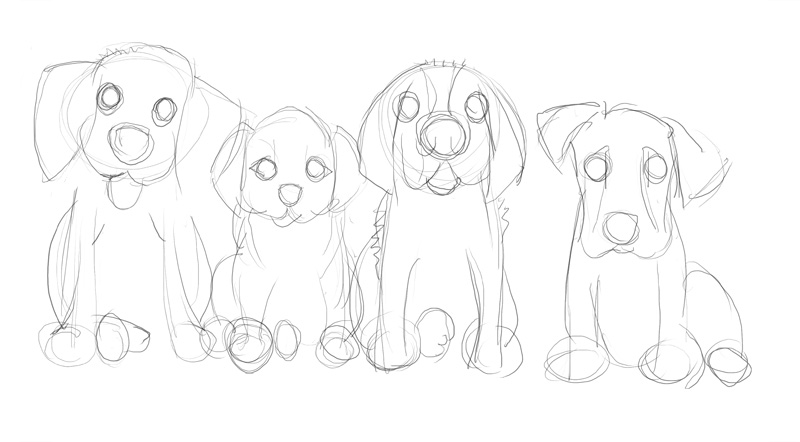 A look at a rough (ruff!) 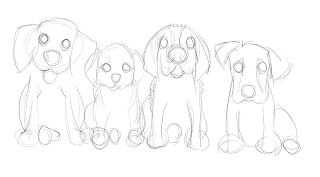 drawing and sketch outline for the puppies featured in the final cover artwork. I was pleased with how these guys turned out, they were fun to do and they still make me grin. Why not use the sketch outline to colour in your own? Send them to me and I'll feature them on the blog, accompanied by the strains of Stanley Myers' guitar piece Cavatina. 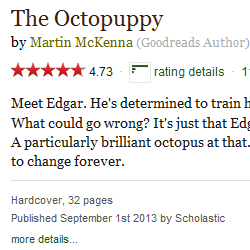 Edgar wants a dog. 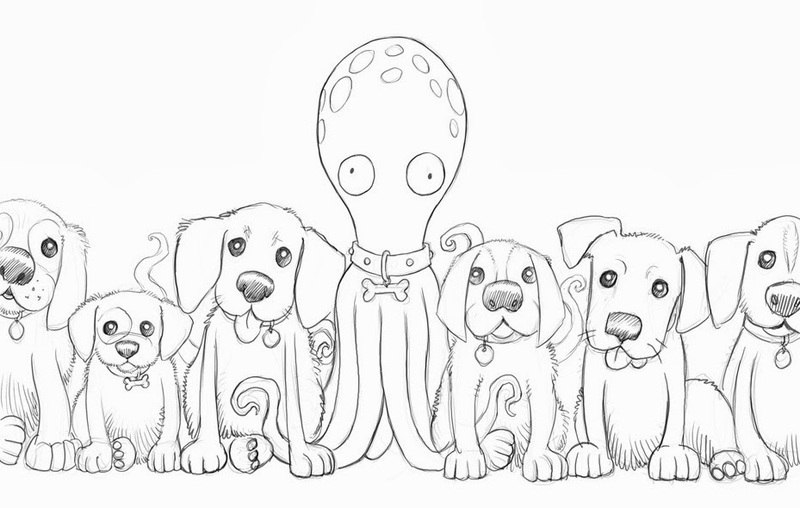 But he doesn't get a dog; he gets Jarvis, an octopus. Edgar is determined to train Jarvis to become the dog of his dreams. What could go wrong? An illustrator for nearly thirty years (gulp! ), I've worked on books, games (board games, roleplaying games, and computer games), TV and film productions, as well as lots of other weird stuff. 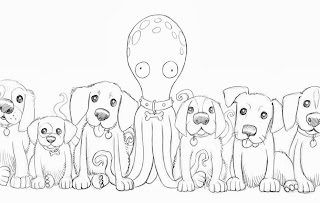 The Octopuppy is my first picture book for children. 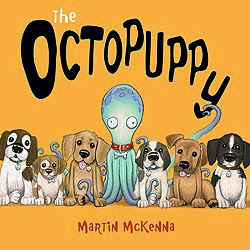 WIN a signed copy of The Octopuppy! All material Copyright © Martin McKenna 2013. Simple theme. Powered by Blogger.